Serkis is also coaching “Hulk” actor Mark Ruffalo on the changes of motion capture technology that will be used in Ultron. “Performance capture was used on the previous ‘Hulk,’ but not to the same extent Mark is using it now. There are tools and ways of working with an actor that makes them feel that they own the character. And a character the size of the Hulk needs ownership, which Mark has now.” I assume we’ll hear more at San Diego Comic Con. Wishful thinking, I hope it’s M.O.D.O.K. Announced on Legendary Pictures’ Youtube account, Pacific Rim director Guillermo del Toro plans for a Pacific Rim 2 release in 2017. Leading up to the new film will also be a continuation of comics set in its universe and a new animated TV series. His schedule has opened up in the last week since dropping directorial duties on Disney’s live action Beauty and The Beast, but I wonder where this leaves the other films on his slate — including Justice League Dark and Pinocchio. I loved Pacific Rim and I can’t wait to see what cool kaiju’s Del Toro creates. 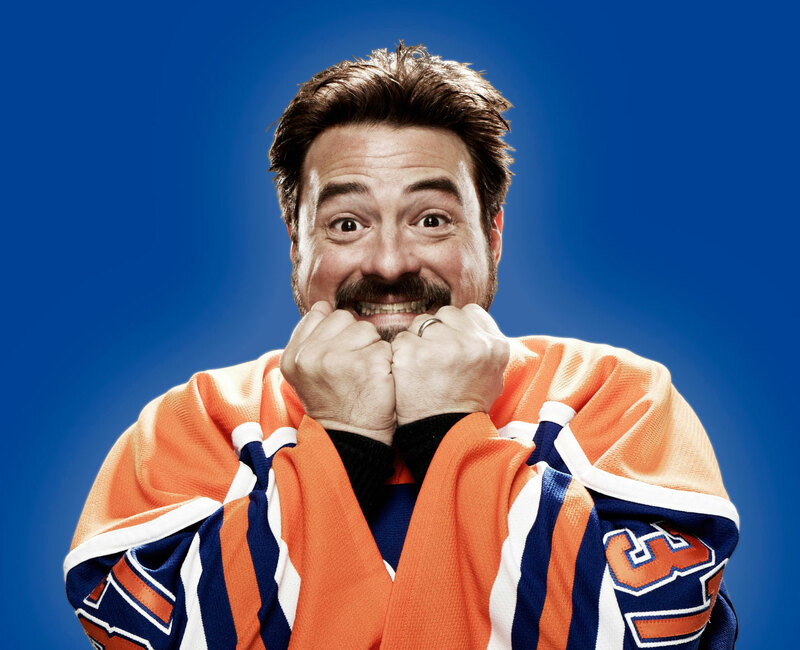 On-again, off-again director and hockey enthusiast Kevin Smith told ScreenDaily this week that The Weinstein Company — current rights holders of the Clerks franchise — has passed on a third outing from the Quick Stop crew. “[The Weinsteins] passed. I went in with a $6 million budget and they were like, ‘Oh no, Kevin. This is too high.’ Bob offered us distribution, but they weren’t going to finance it,” Smith wrote on Twitter. It’s a weird situation. Clerks 2 was made with a $5 million budget back in 2006 and went on to make $27 million theatrically. That’s not a bad return. With Smith’s name not being what it once was, this maybe speaks to the studio’s faith in Smith. Since then, Smith has assured his fanbase that the film will still come, just not with Weinstein money. I hope this has mythical creatures like Noah. Because someone asked for it. I love everything about this movie. So pumped. Looks like Steve Carell and Channing Tatum are going for an Oscar this year. Looks cool. A new Bill Murray comedy with Chris O’ Dowed? Awesome. New film from Studio Ghibli is always a good time. This is the Crank 2 of disaster shark films. Take that for what you will. The long rumored Bioshock for Playstation Vita may be lost at sea, but series creator Ken Levine gave players an idea what it could have been. 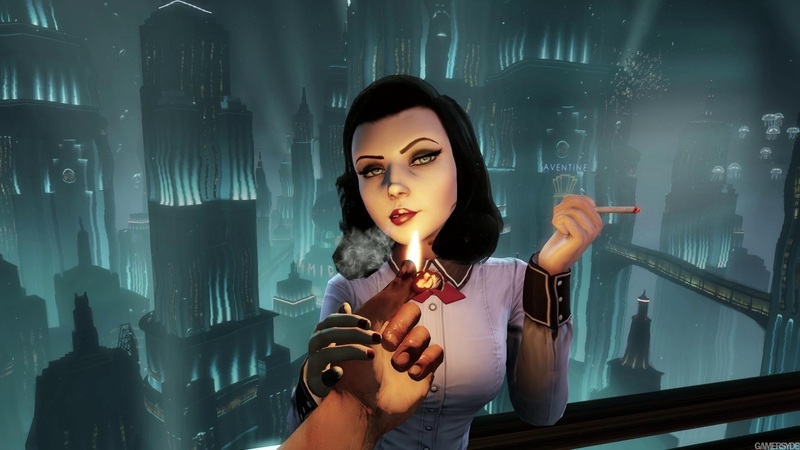 On Levine’s Twitter account, Levine envisioned Bioshock Vita as a “Final Fantasy Tactics style thing set in pre-fall Rapture.” With Levine dissolving Irrational Games, designers of Bioshock and Bioshock Infinite, and moving on to new endeavors, the chances of his vision being made is slim. If we ever do get a Bioshock game on the Vita, I hope its something that is unique to the system and not a dumbed down version of what we get on the consoles. Whoafiles and Whovians, The Doctor’s back on August 23. With the announcement, BBC has released a very short look of Peter Capaldi as the new old man Doctor. I hope that based off this preview that the entire first episode isn’t like the first episode of the David Tennant run. Arrow adds The Atom for Season 3. Firestorm added for The Flash. Superman Returns star Brandon Routh is returning to the DC Universe for season three of Arrow as Ray Palmer, The Atom. The Atom, as his name entails, has the power to shrink to a sub atomic size. His appearance in Arrow will also be the first time the character has been done in live action form. Routh will be joining Devon Aoki as Tatsu Yamashiro (martial arts expert Katana), Karl Yune as Tatsu’s husband, Maseo Yamashiro, and Peter Stormare will become the new Count Vertigo. Arrow returns October 8 on The CW. Along with Flash casting, Robbie Amell has been added as Ronnie Raymond, AKA Firestorm. It will be interesting to know how they design Firestorm for this show since his comic design has always been really silly looking. Let’s go back in time before Twitch, Youtube, Vimeo and other video sites were mainstream. On April Fools Day, The Brothers Chaps released a new Homestar Runner. The reception it received resulted in an announcement that Homestar will return later this year. Even though it’s not clear how often Homestar will update, it’ll be fun to see a new generation of people experience this Internet classic.